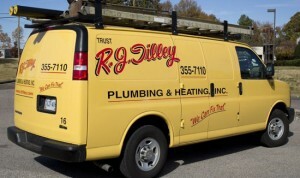 R.J. Tilley specializes in plumbing and remodeling services in Ashland, VA.
For over 40 years, R.J. Tilley has met the needs of central Virginia homeowners with high quality plumbing services. Over the years, our services have expanded beyond plumbing to include full kitchen and bathroom remodeling. Since we have a full staff of trained plumbers as well as carpenters, we can handle just about any job you may have. Whether you need a new gas line for a BBQ grill, or assistance with your gas fireplace, our team is licensed and insured to take care of all of your gas piping in addition to your water and sewer lines. Do you have continuously clogged drains? Our team can quickly identify the cause of a clog and will use the proper tools to quickly clear clogged drains and get them flowing smoothly again. In some cases, we use video inspection services to identify the source of a clog and to inspect the integrity of your drain pipes or sewer line. R.J. Tilley will bring your vision to reality! We’ll handle everything including painting, sheet rock, electrical, flooring, tile and cabinetry. If you’re interested in remodeling your kitchen or bathroom, we encourage you to visit our showroom for design ideas. R.J. Tilley is a state certified specialist in backflow prevention. Many counties in the Richmond and surrounding area require annual inspection and testing of your backflow prevention device. Our team can come out and satisfy the requirements of the certification and testing for you. Our team understands that the comfort and safety of your home relies on efficient, properly maintained systems. Whether you need an emergency repair, installation or maintenance—you can trust in us to provide honest, expert work. 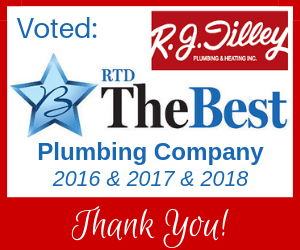 Thank you for helping us earn a reputation as one of the best plumbers in Richmond, VA. Read more of our online reviews to hear what our customers are saying!